At Trotter Company, our team of experienced waterproofers can assess your basement’s situation and provide the best possible recommendations to keep it dry, permanently. If you’d like a free quote for repairing basement water issues, including wall moisture or floor cracks, contact us by phone or e-mail or just click on the red button above! We serve Marietta, Atlanta, Decatur, and surrounding areas. Before the new Trotter System, all sub-floor basement systems flooded the soil under the basement floor with rain water, even ours. These “drain field” drains are perforated to allow water to flow in. It’s simply how they work: water pours out of the weep holes in the wall and soaks the soil under the floor. It then builds up and flows into the perforated drain. The problem is this water soaking in weakens the soil. If your home is built on questionable soil or fill dirt, settlement issues will probably develop. The other problem is when the trenches are dug to install the drains beside foundation, the termite chemicals are removed with the soil and will likely result in the loss of your termite protection. The Trotter System does not disturb the termite barrier. 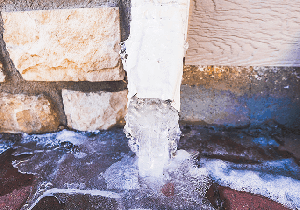 Some companies intentionally leave their system open at the wall to catch seepage trickling down the wall and usually do nothing to prevent evaporation and seepage from the masonry basement walls. The unfortunate side effect is constant moisture evaporation from under the floor back into the basement. If you finish a basement with this system in place, you will almost certainly have high humidity levels behind the finished walls, which can lead to mold. 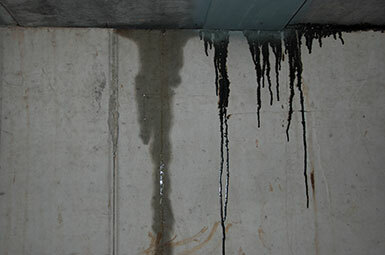 Only the Trotter System warrants no water or dampness from our basement system – a full 8 feet high on masonry walls! What Issues Are You Seeing In Your Home? If you’ve got any of the following in your home, you probably have a wet basement problem. 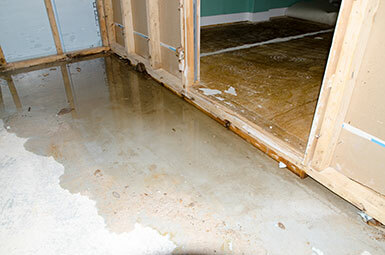 It’s best to address this ASAP since water in your basement can lead to other major problems. 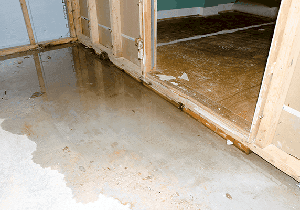 Even small leaks can cause flooding in the future if left unfixed. Water ponding towards the house or running against it. You have an issue if you are seeing wet walls or water stains on the wall. A musty smell could be a sign of mold growth, which could lead to a number of additional health issues. The new 2014 patented Trotter Dry-Tec® System instantly collects practically every drop of seepage to keep the soil under your floor and foundation dry and protects your home like nothing else! Our new system works so well, not only do we warrant that you will have no water from our system, we even warrant no dampness from our system. How do we build such a perfectly sloped concrete drain? We’re not telling. We’ve educated our competition for too many years! But we will tell you it involves patented laser-guided equipment and incredible precision. Before you finish, we suggest you use our pre-finishing wall system to guarantee moisture and condensation-free finished walls. Note: basement walls must be properly insulated and have dual vapor barriers to prevent condensation behind finished walls. Water or moisture in basements comes from two sources. One source is indoor humidity that condenses on cold surfaces, much like water droplets form on a cold drink on a humid day. The other is water—or water vapor—that comes from outside. 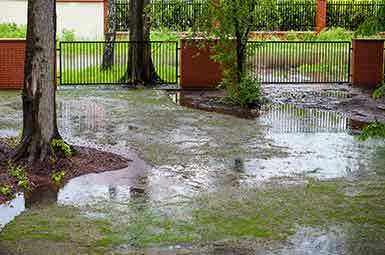 Rainwater, melting snow or groundwater can saturate the soil around your foundation and leak in. 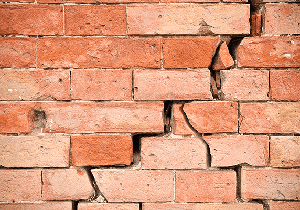 Water can leak through cracks, or it can penetrate porous concrete or masonry walls in the form of water vapor. To figure out what’s causing the problem, tape aluminum foil to your basement wall and inspect it a few days later. Moisture on the outside surface of the foil indicates high indoor humidity. Moisture behind the foil means moisture is leaking through the walls. 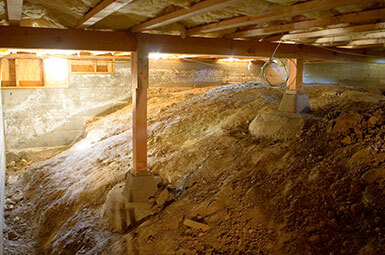 Mold inside your crawl space is an issue that will undoubtedly get worse if left untreated. Damp environments are highly susceptible to mold growth, and we have plenty of humidity in Georgia negatively impacting the dampness of your crawl space each and every spring and summer. So, if you notice any mold in your crawl space, it’s a tell-tale sign you likely have a moisture issue as well. Similarly, if you notice musty odors inside your home, it is likely a sign of mold or mildew issues in your crawl space. 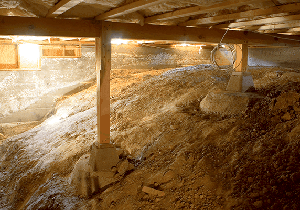 The air circulation in your crawl space acts in a manner that’s called The Stack Effect. This means that musty air lingers in your crawl space before exiting up through the floor joists and then through your home itself. This happens because, as you may have felt, your crawl space is the coldest part of your home. Moist, humid air enters your crawl space in warm months through your vents and foundation walls, festers, and then eventually rises to the warm air above. An unkempt crawl space can thus impact the air quality inside your home, so it’s important to repair any moisture and high humidity in your crawl space because it directly results in the health and safety of your home and family.